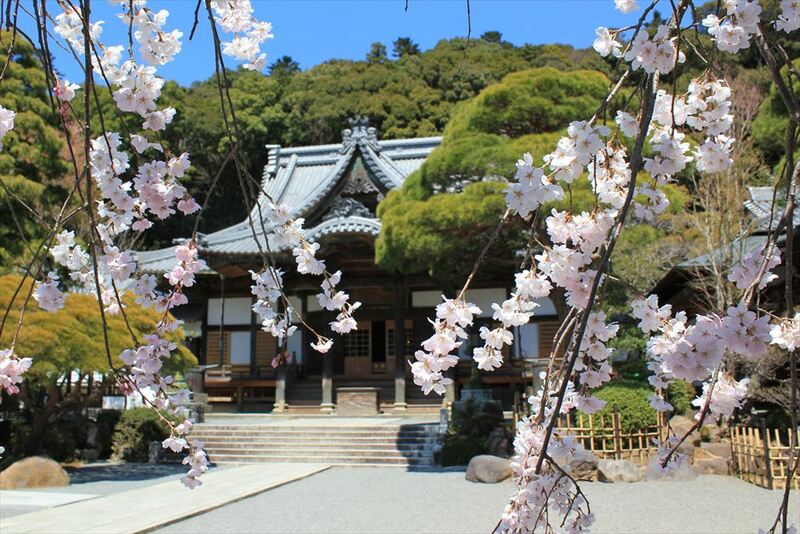 Facing the Pacific Ocean and located at the near center of the main island of Honshu, Shizuoka Prefecture has great access with easy access from Tokyo and Osaka by shinkansen bullet train and the Mt. Fuji Shizuoka Airport. Shizuoka is best known for Mt. Fuji, which straddles Shizuoka and Yamanashi prefectures. There are many spots with a great view of Mt. Fuji in Shizuoka. 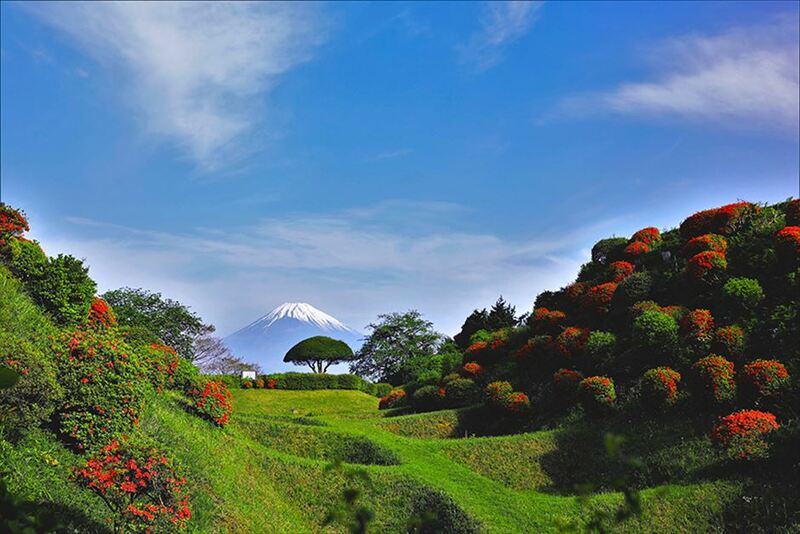 We will introduce many attractive points about Shizuoka Prefecture in addition to Mt. Fuji. At its peak, there is a volcano crater of 300 m in diameter, 1,000 m in circumference, and 70 m in depth. 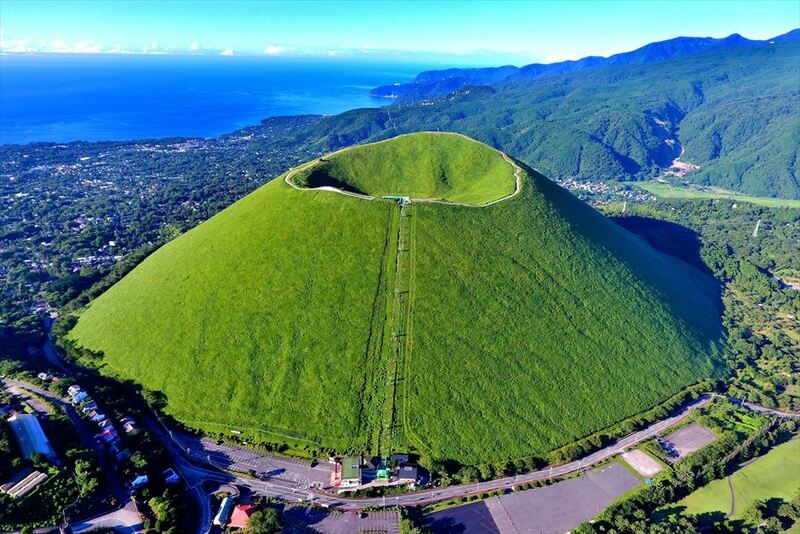 The “Ohachi-meguri Tour” that goes around the crater offers a 360-degree panoramic view including Mt. 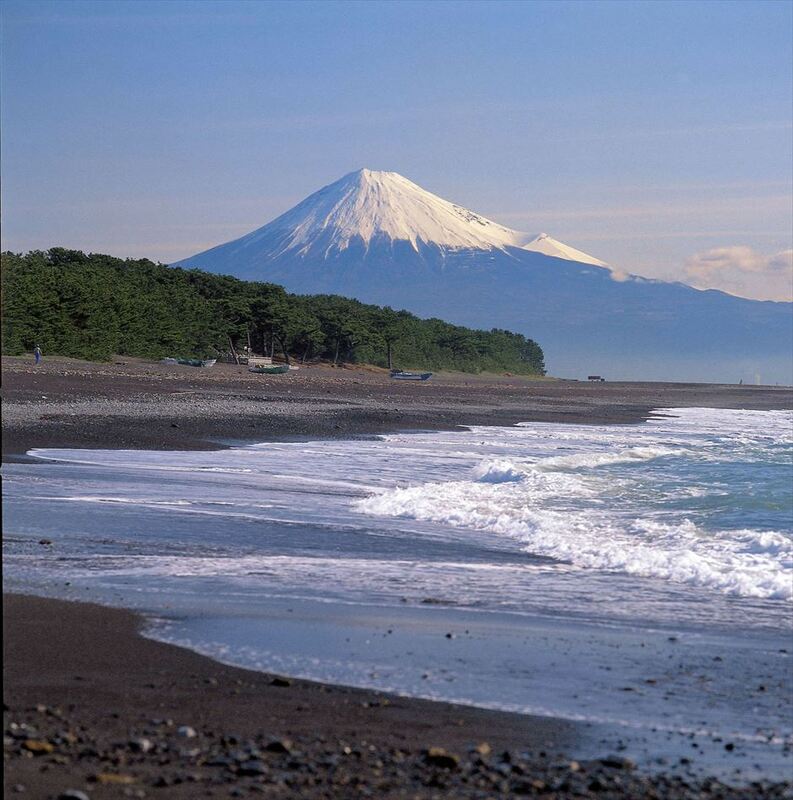 Fuji along with the Akaishi mountain ranges (aka Southern Alps), the Izu Islands, and even the Boso Peninsula. A ropeway that goes 1,791 meters each way and is 411 meters in elevation will take you to the top, where you can have a great view of Mt. Fuji and Suruga Bay. Depending on the season, you can enjoy scenery with azaleas in spring, hydrangeas around June, lilies in summer, and colored leaves in autumn. 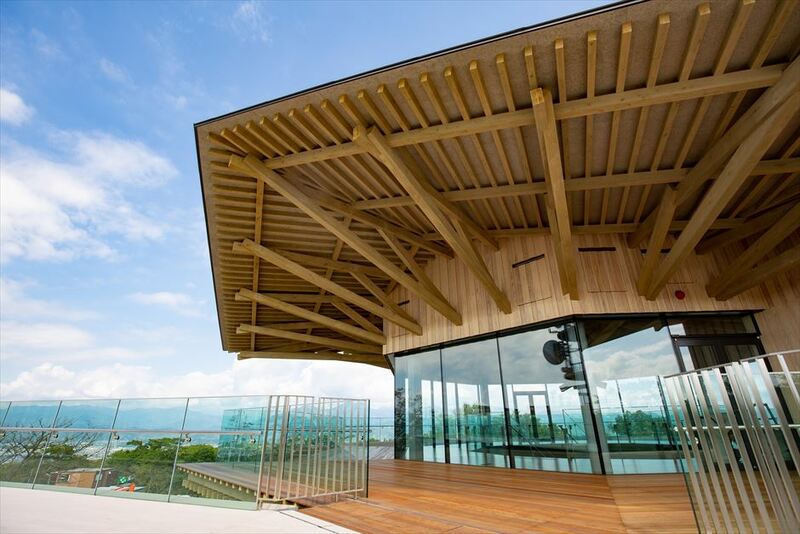 Opened in November 2018, this facility has an observatory deck with a circumference of about 200 meters, which offers a 360-degree panoramic view of Mt. Fuji, Suruga Bay, Miho no Matsubara, and Shizuoka City. 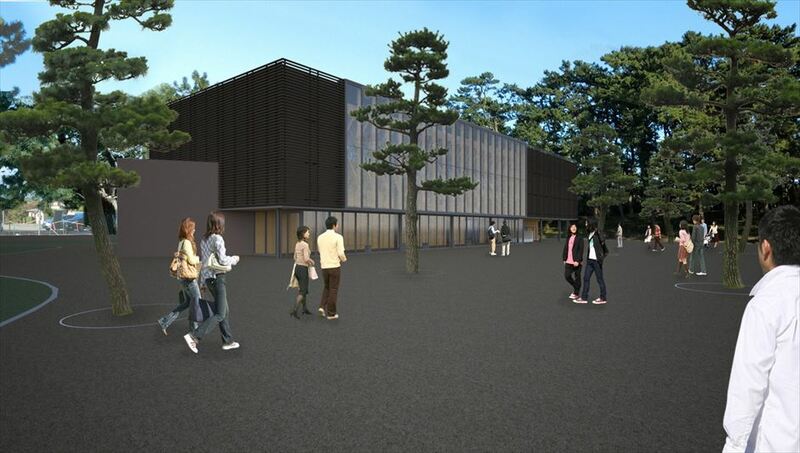 Scheduled to open on March 30, 2019, this new facility is designed to show the beauty of Miho no Matsubara, one of the world’s cultural heritage sites, as well as offering people an opportunity to learn the culture and art related to Miho no Matsubara. From the facility, you can also look out at Mt. Fuji and Miho no Matsubara to your satisfaction. 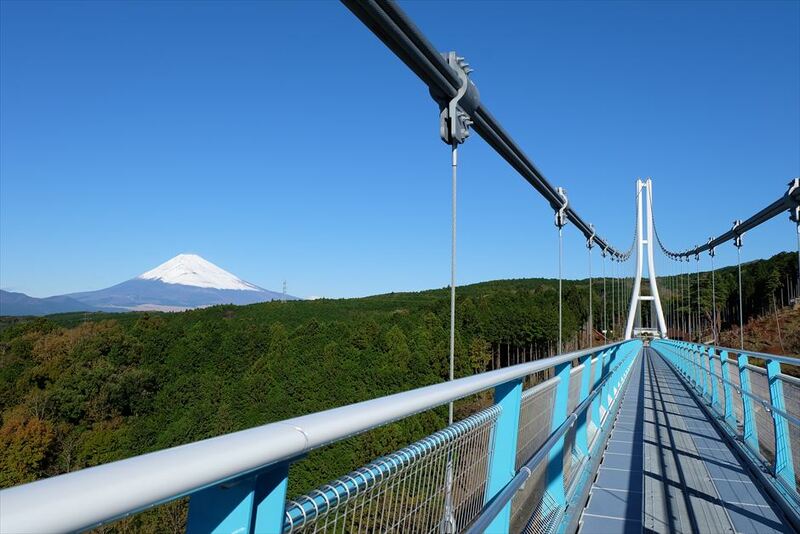 Walking on this longest pedestrian-only suspension bridge in Japan, with a total length of 400 m and an elevation of 70 m, you will feel like you are floating in the sky. Enjoy a 360-degree view with Mt. Fuji, Suruga Bay, and the Izu mountains in the distance from the bridge. 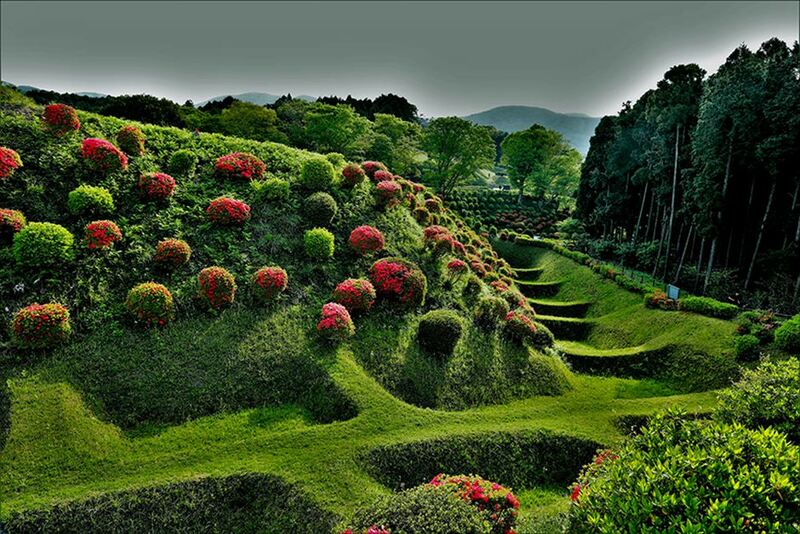 Shizuoka prefecture is a famous Japanese tea production area. How about dressing up in a traditional tea-picking outfit and experience tea-picking? 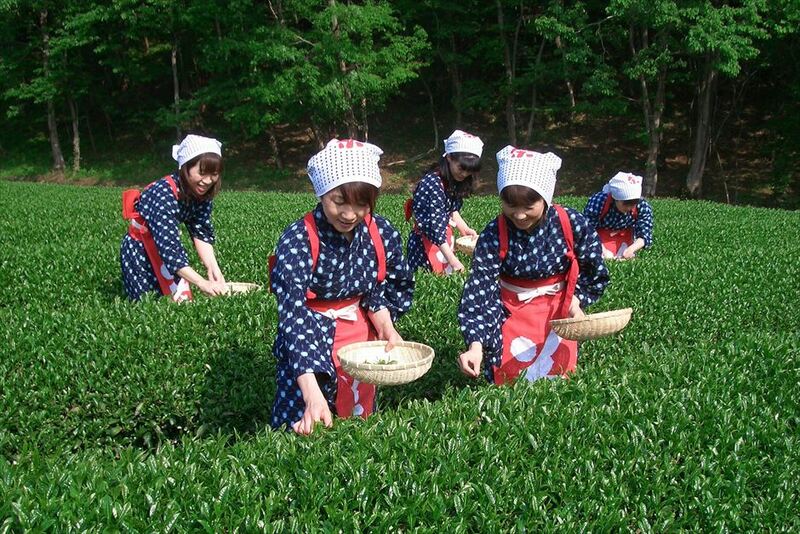 Staffs will help you wear the kimono and lecture you how to pick tea leaves. 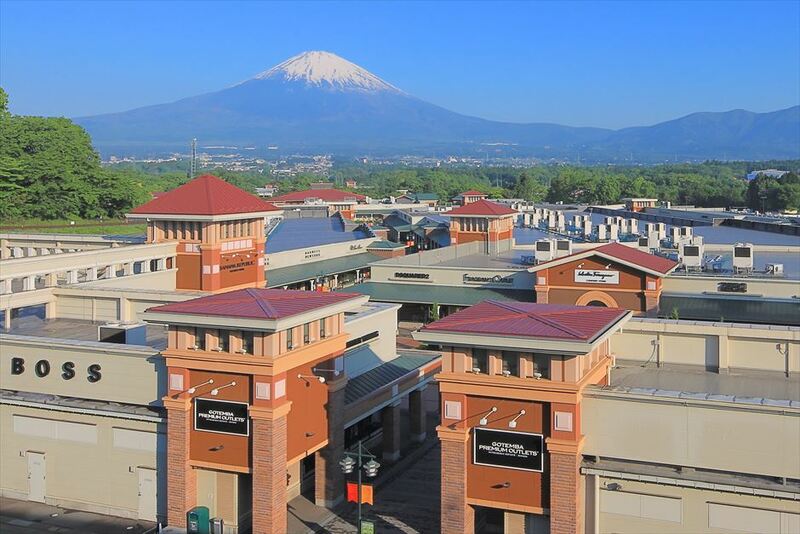 Here you can view two world heritages; Mount Fuji and the Nirayama Reverberatory Furnaces. Open only from end of April through end of June. Prior reservation is required. 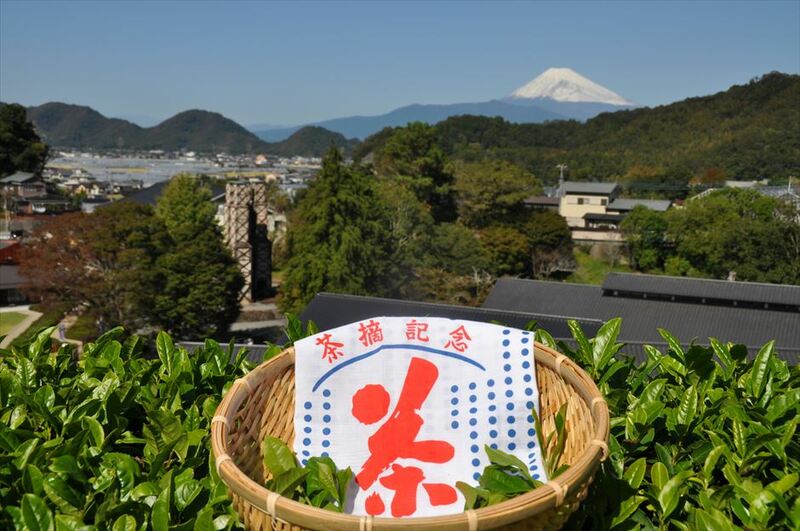 Not only you can enjoy wearing traditional tea-picking kimonos but also you can take a tour at the Grinpia Makinohara Tea Factory. You can see the process of freshly picked leaves change to products and the packed. There’s also a chocolate factory as well. 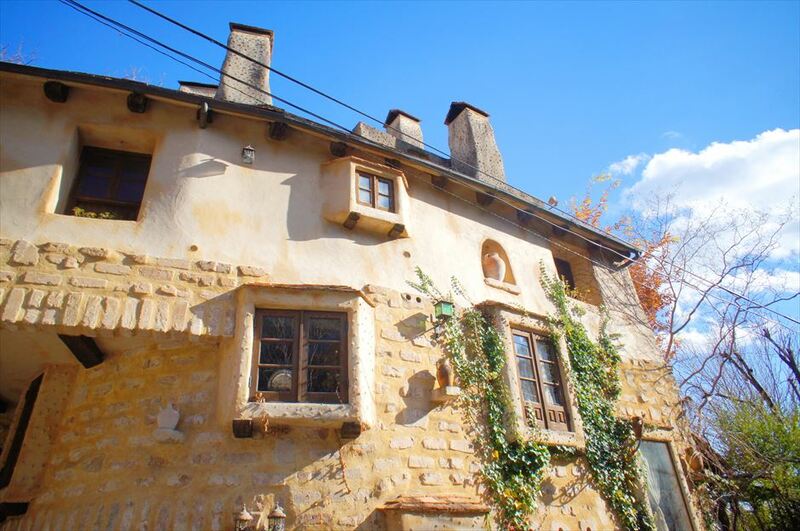 Open only from end of April through beginning of October. Prior reservation is required. A 70-year history Japanese tea wholesale store opened a Japanese Tea café in 2018. 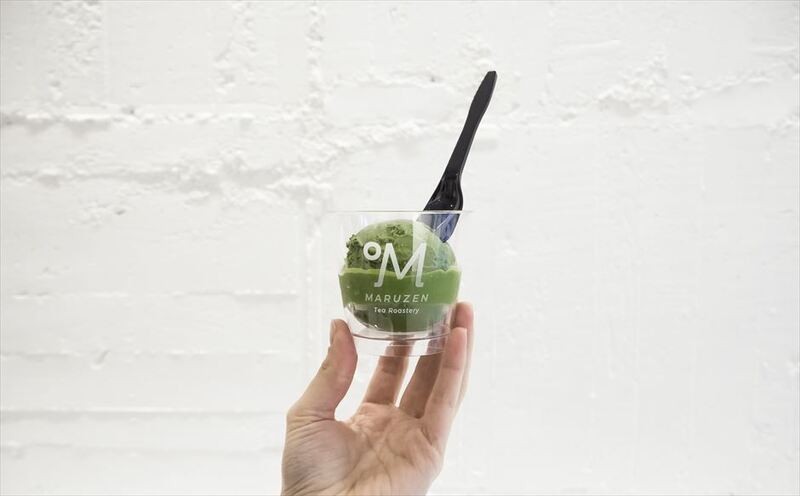 You can taste Japanese teas roasted in six different temperatures and tea gelatos. 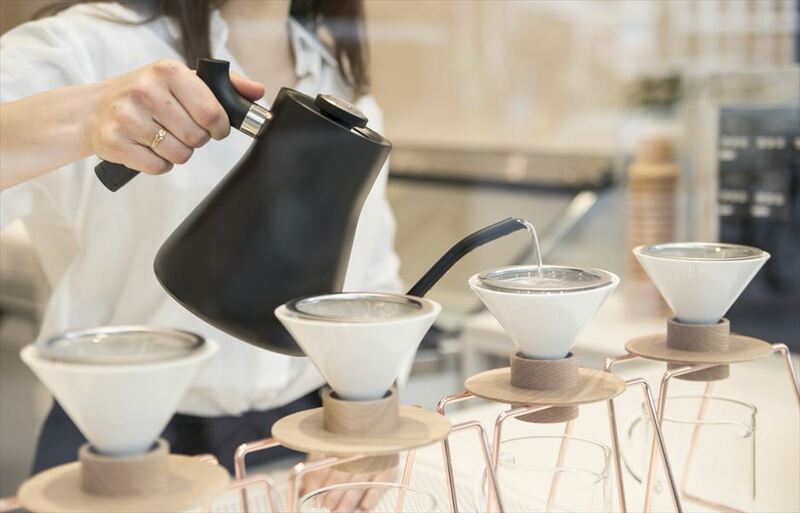 This very innovative café will serve your tea in drip-style just like a coffee shop. 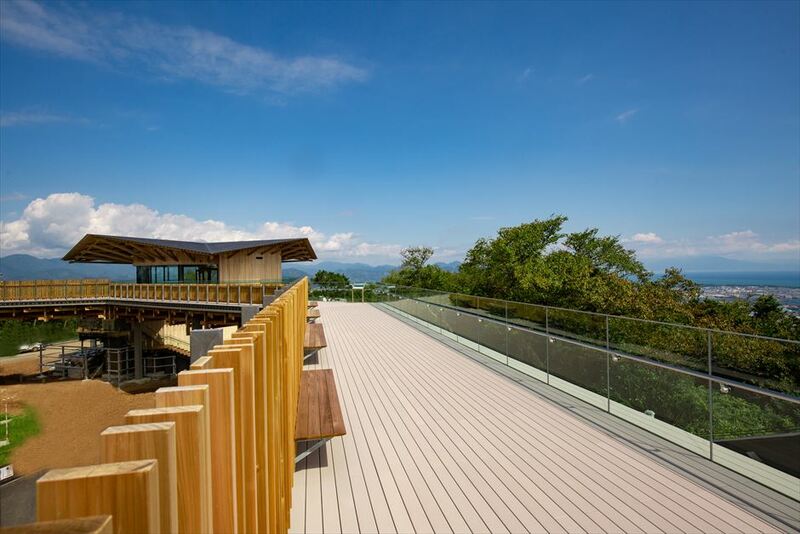 Scheduled to be held from May 10 to 12, 2019, this festival offers an opportunity to explore and experience various aspects of green tea at the center of Japanese tea, Shizuoka. 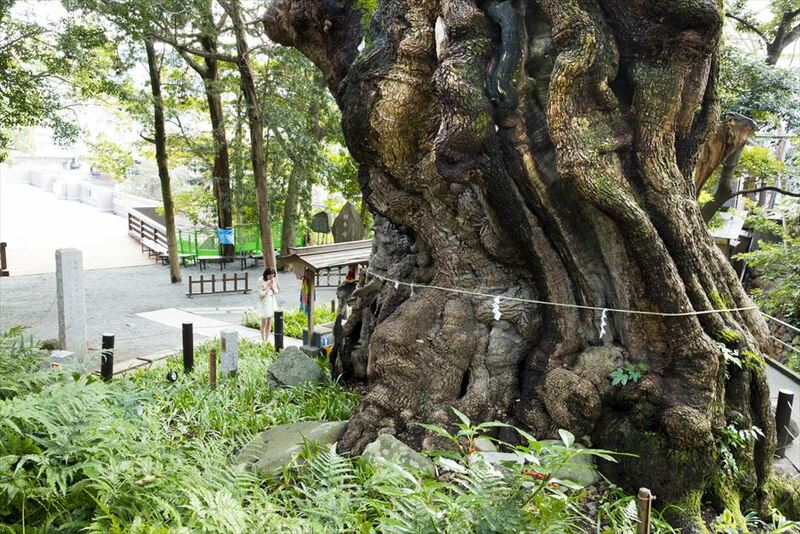 On the premises surrounded by trees, there is a large camphor tree over 2,100 years old. It has been said from old times that walking around this camphor tree once makes you live one year longer, or that walking around the tree without telling anyone your wish makes it come true. 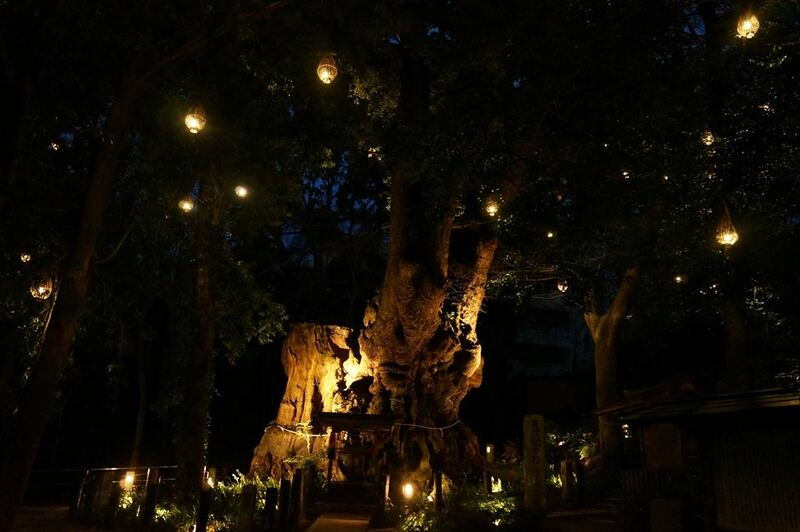 The tree is illuminated at night, creating an even more mysterious atmosphere than in daytime. 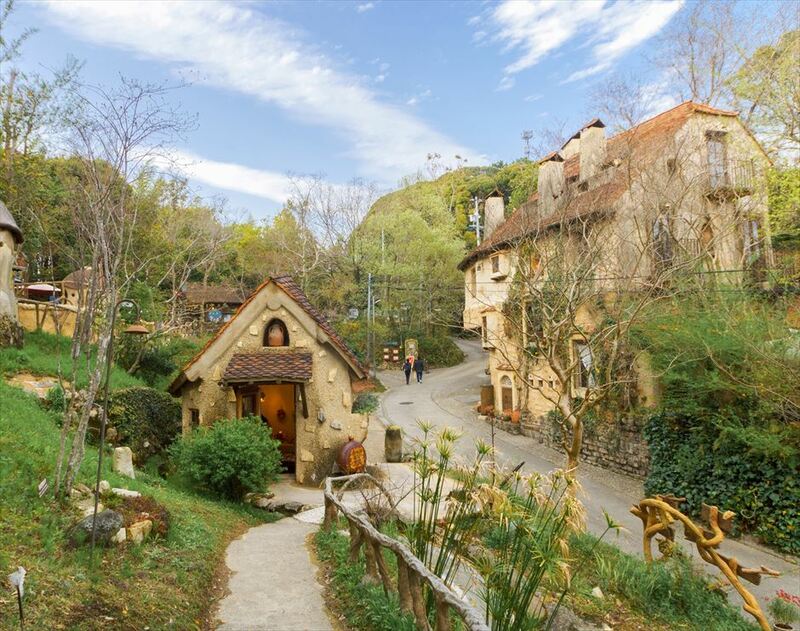 Strolling on a narrow sloping road in a quiet residential area, you will come across a world just like that in a picture book. 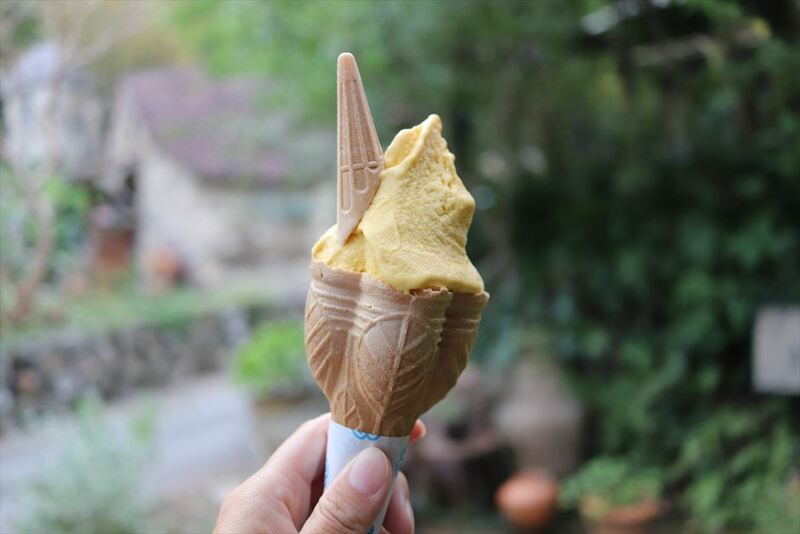 There is a restaurant, which serves delicious dishes with seasonal ingredients, as well as a gelato shop, Gelateria Piccolo Picchio. Every building and view is unique, luring you into a completely unexpected world. 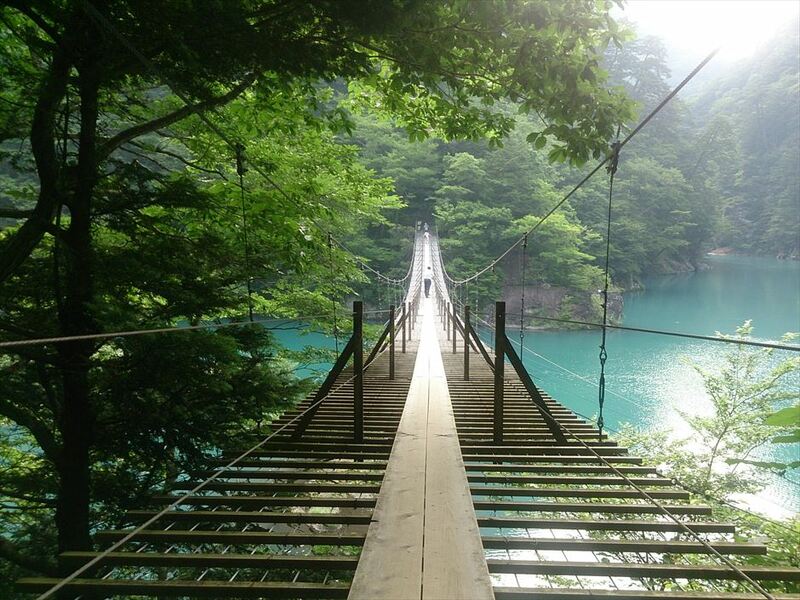 From this fantastic suspension bridge, with a length of 90 m and an elevation of 8 m, you can look down on an emerald-green lake. 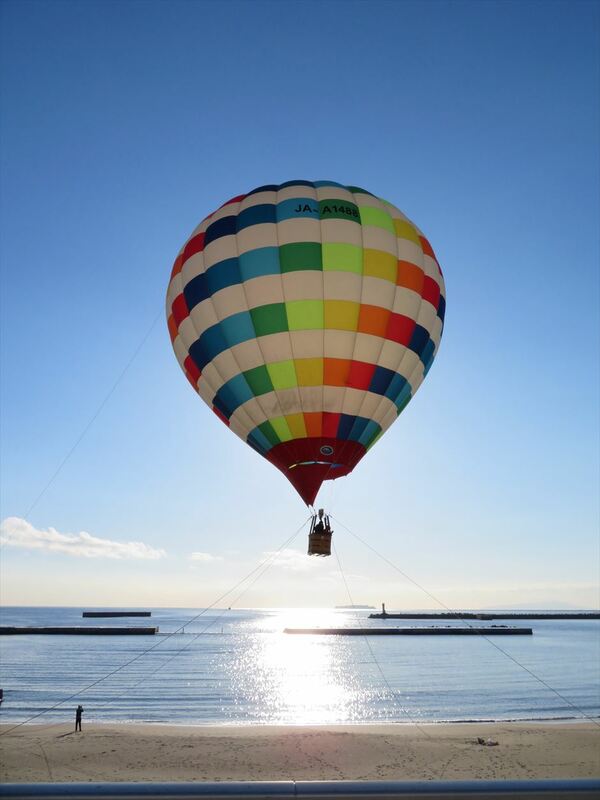 Enjoy the spectacular view, thrills, and a sense of floating in the air. It is said that if you make a wish at the middle of the bridge the wish will come true. 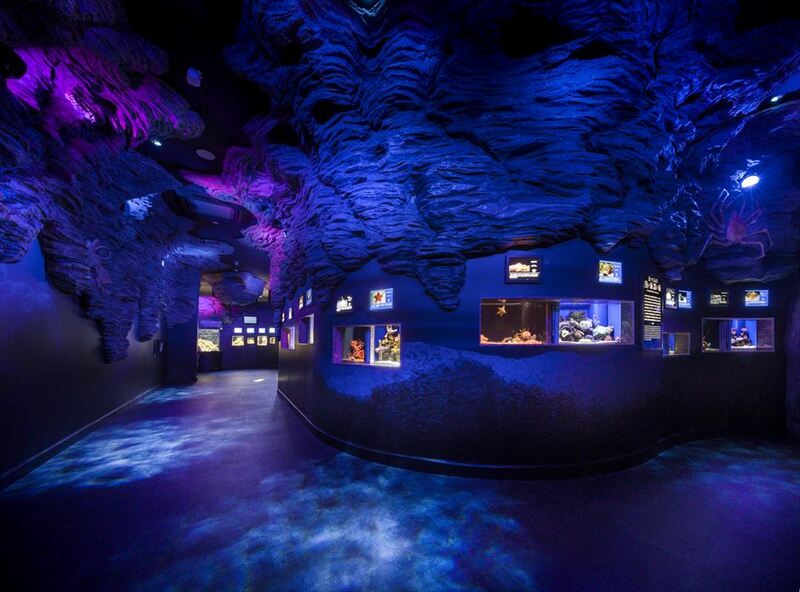 Japan’s first museum themed on deep-sea creatures. They exhibit many deep-sea creatures from Suruga gulf and various unique creatures from all over the world. 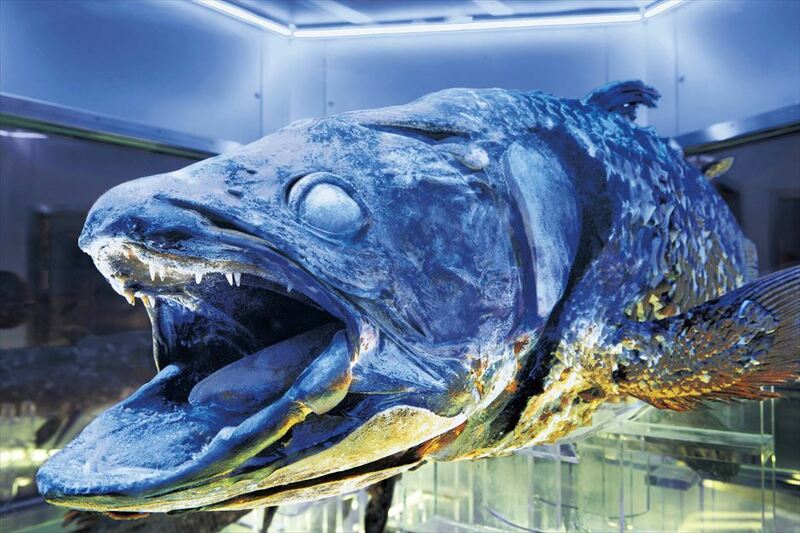 Also, you can meet the one and only frozen coelacanth on earth. 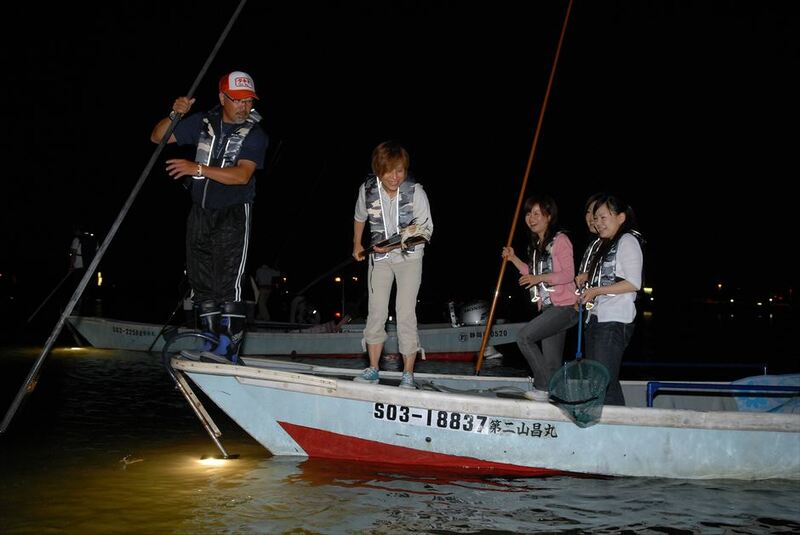 You can try a traditional fishing method, “Takiya-ryo,” unique to Lake Hamana. 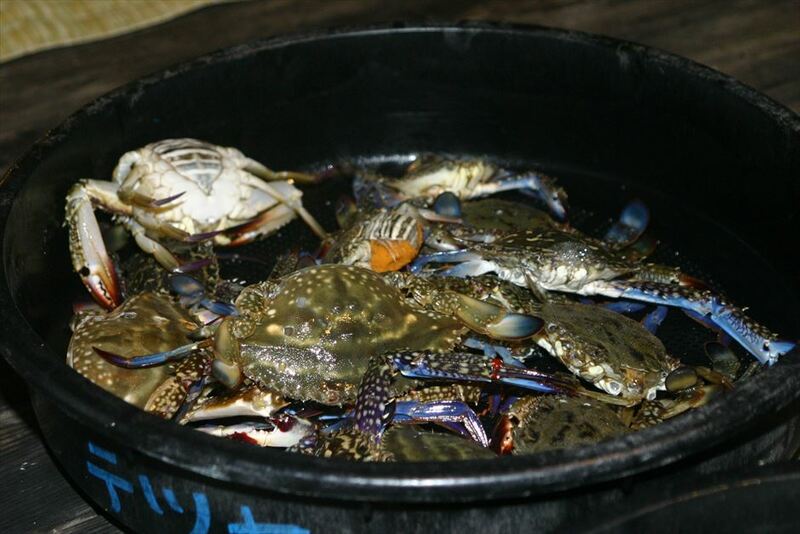 You can eat crabs and fish right after you have caught them on the boat. 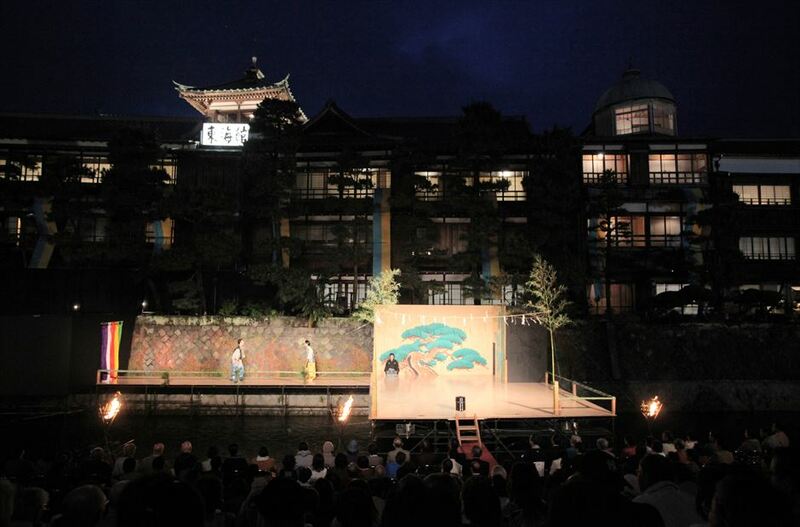 Floating in front of Tokai-kan on the Matsu River in Ito City, this special stage offers a Noh performance only in the nighttime of May 18 (Sat), 2019, which will draw you into subtle and profound world of Noh. On Sunday, May 19th, you can enjoy local entertainment performances and Geisha girl performances. 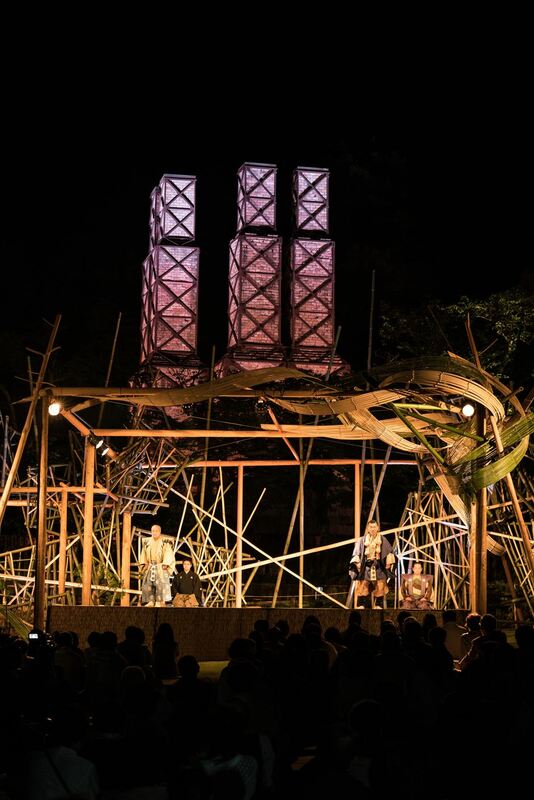 Only in the nighttime of May 22 (Wed), 2019, the stage event of “Kyogen no Hana, Takigi Kyogen” will be held at a bonfire in front of “Nirayama reverberatory furnace,” a world cultural heritage site. 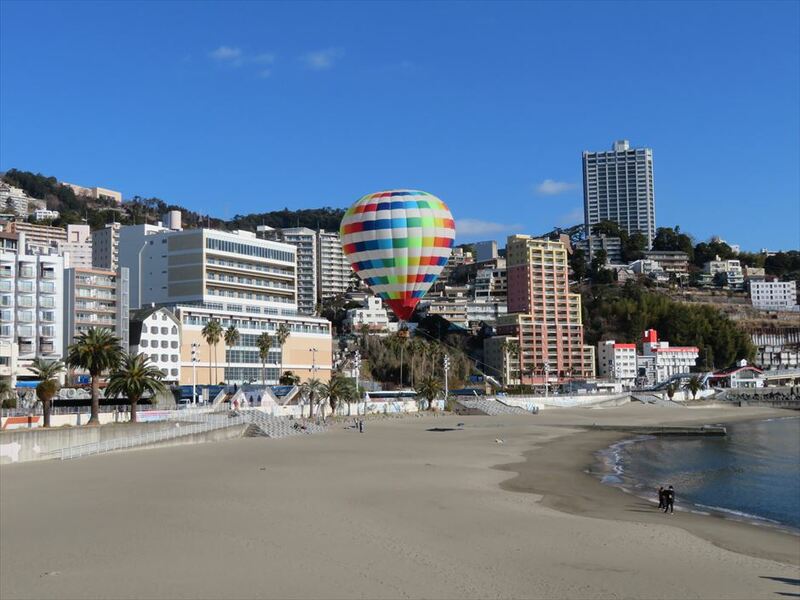 Get on a balloon that goes up 10 to 25 meters from Sun Beach in Atami City, and you can enjoy the unfamiliar view of Atami from above. Don’t worry, you will go up with an instructor. Service offered on: April 20 (Sat), 21 (Sun), 27 (Sat), and 28 (Sun), May 11 (Sat), 12 (Sun), 25 (Sat), and 26 (Sun), and June 8 (Sat), 9 (Sun), 15 (Sat), and 16 (Sun). 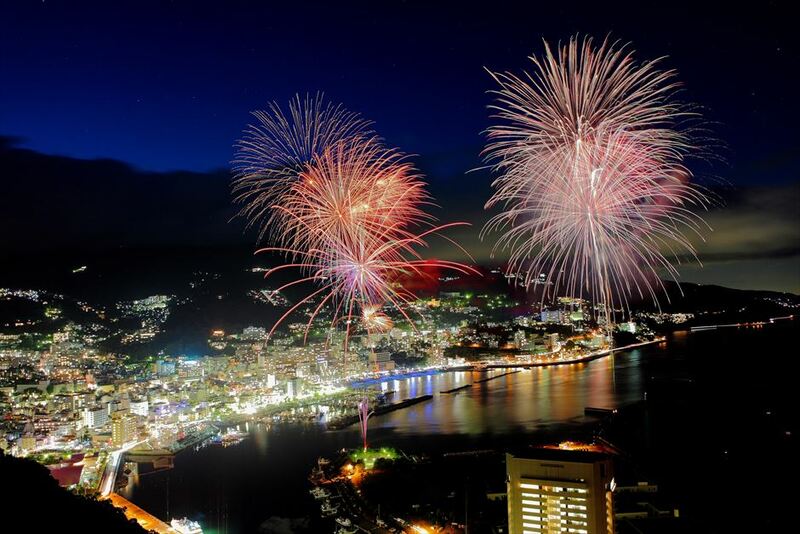 This fireworks festival is held throughout the year. 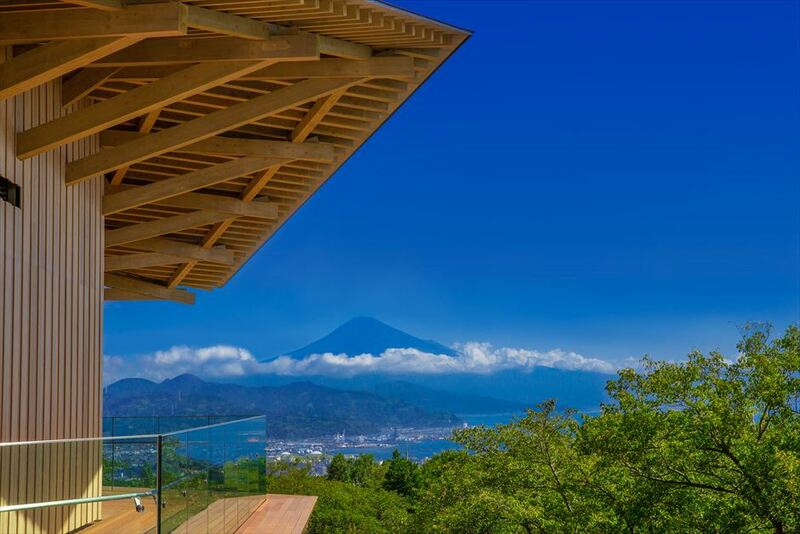 Surrounded by mountains on three sides, the Atami Bay venue can make the fireworks more powerful with great reverberation of sound. 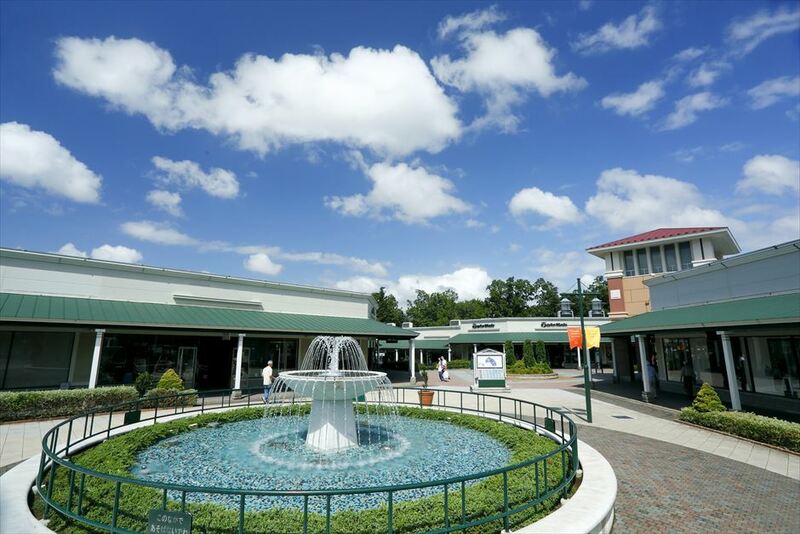 Spring schedule: March 31 (Sun), April 20 (Sat), May 11 (Sat), May 26 (Sun), June 16 (Sun), and June 29 (Sat). 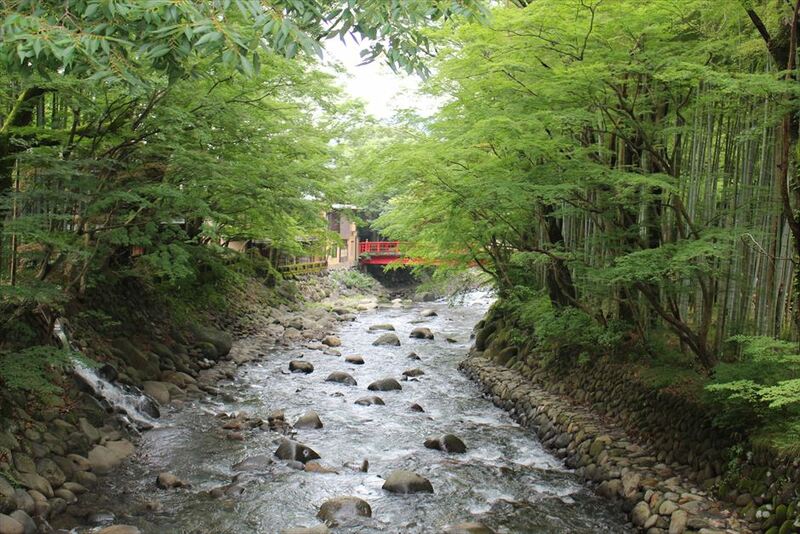 Around Shuzenji, small paths in a bamboo forest, a vermilion-lacquered bridge, historical shrines and temples, tasteful shops, and foot bath facilities are scattered along the river flowing through the town. You can walk around the area in a rental yukata or kimono. 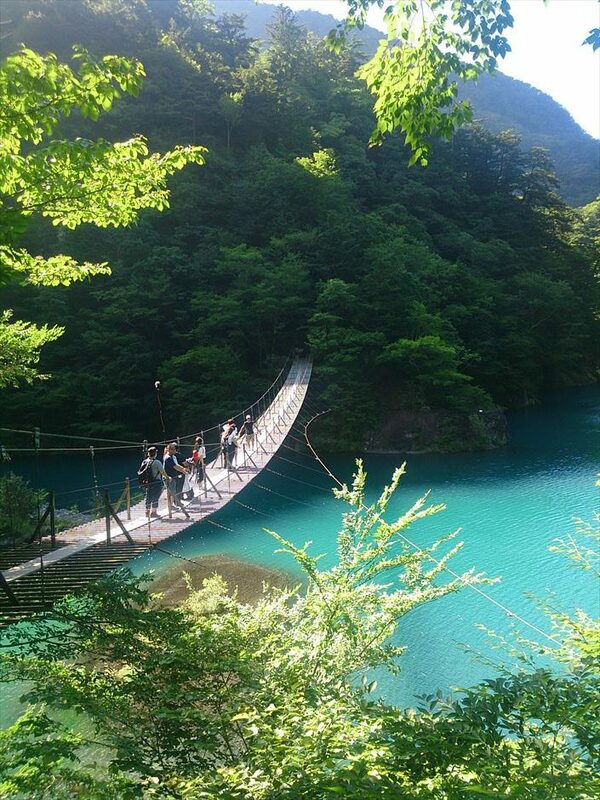 Each of the five bridges on Shuzenji River (aka Katsura River) is said to bring you good luck in romance, so a tour of romantic bridges is recommended. At Hie-jinja Shrine, its famous hand-made omamori (good-luck charm) is so popular that it is hard to get one. Getting one or none is all about the luck of that day! It is said that Ito Onsen started during the Heian-era (A.C. 794~1185) and it was even tribute to Tokugawa Iemitsu, the third Shogun of Edo government around mid-17th century. The water is mild so small children and elderly people can also enjoy. 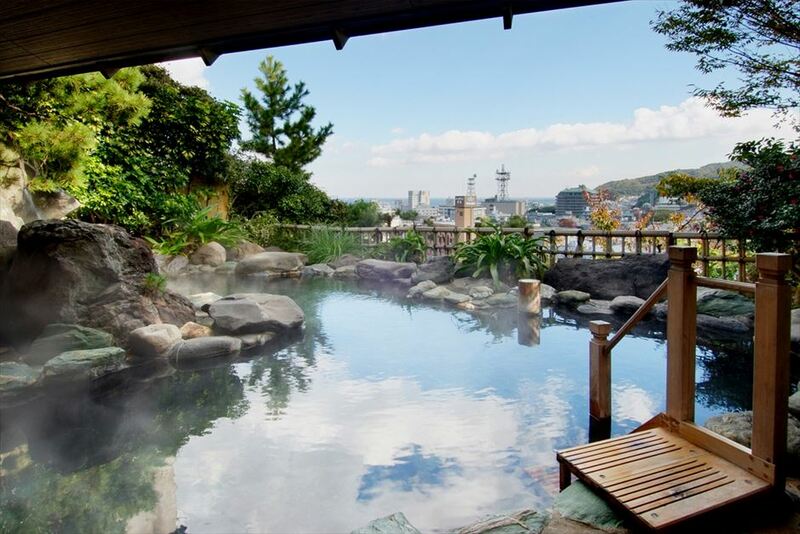 At Ito Onsen, there are various types of onsen bathrooms; spacious onsen bathrooms, old-fashion types, and onsen bathrooms where you can enjoy a spectacular view. 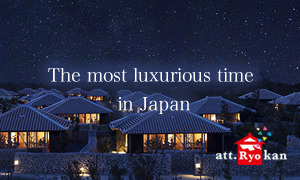 There are places where you are not required to stay overnight and just casually visit to enjoy the onsen. 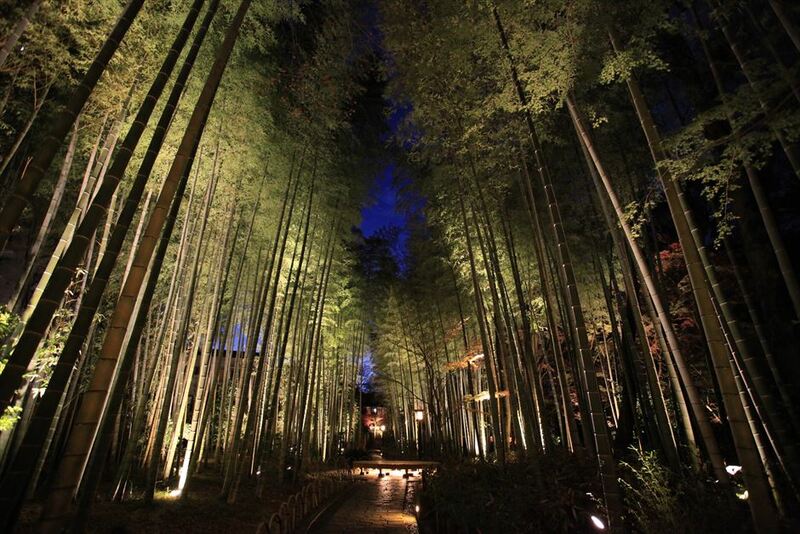 Shimoda Onsen is the generic term that includes Rendaiji Onsen, Kochi Onsen, Shirahama Onsen, Kannon Onsen, Aitama Onsen. 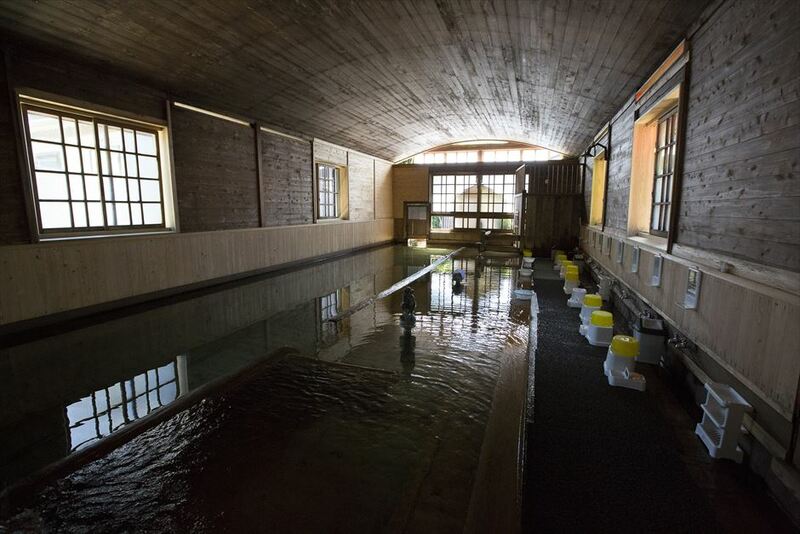 One of the fascinating things about Shimoda Onsen is that there are many free foot spa areas. Also, you can enjoy seasonal flowers; Narcissus in January, Cherry blossoms from mid March through begging of April, American Jasmine in May, and Hydrangea in June. Beautiful white sandy beaches welcome many visitors who wants to enjoy swimming, surfing, sea-kayak and other marine sports. 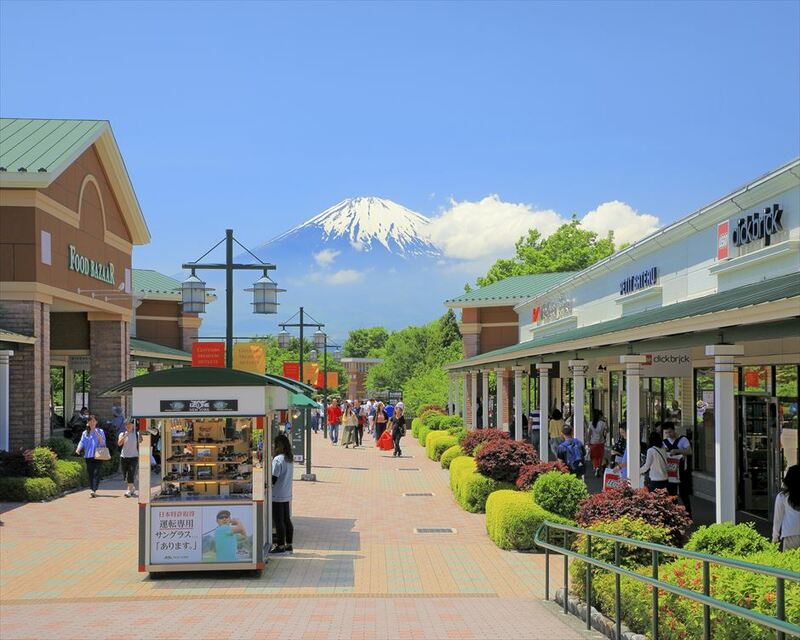 Japan’s biggest outlet shopping mall featuring over 210 stores. 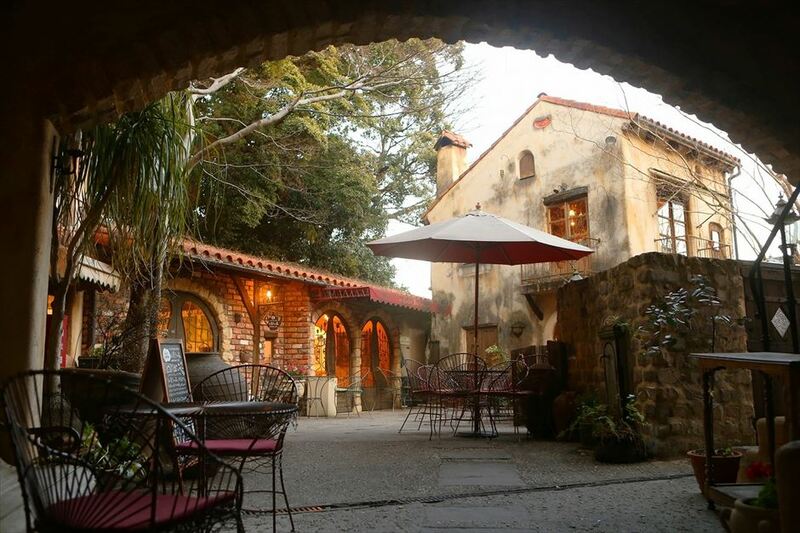 It’s located in a natural environment with a beautiful view of Mount Fuji and has an atmosphere of a historical townscape of Northern America. 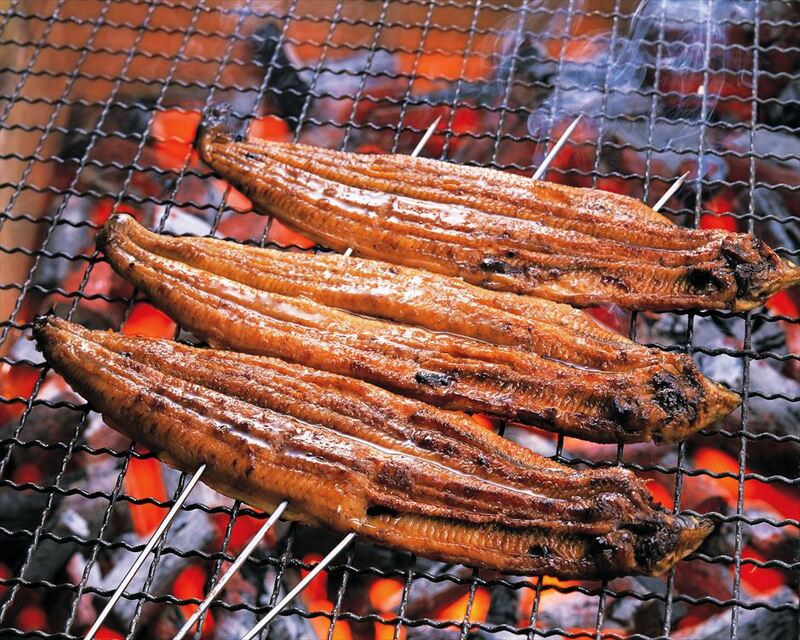 You cannot talk about Shizuoka local food without mentioning eel. 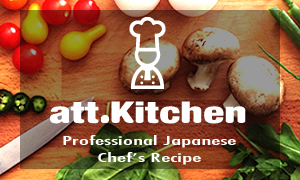 Famous eels include those from Lake Hamana, with a farming history of over 100 years, and those from Mishima, which were made to swim in snowmelt from Mt. Fuji for several days to remove the undesired fishy and dirt smell. 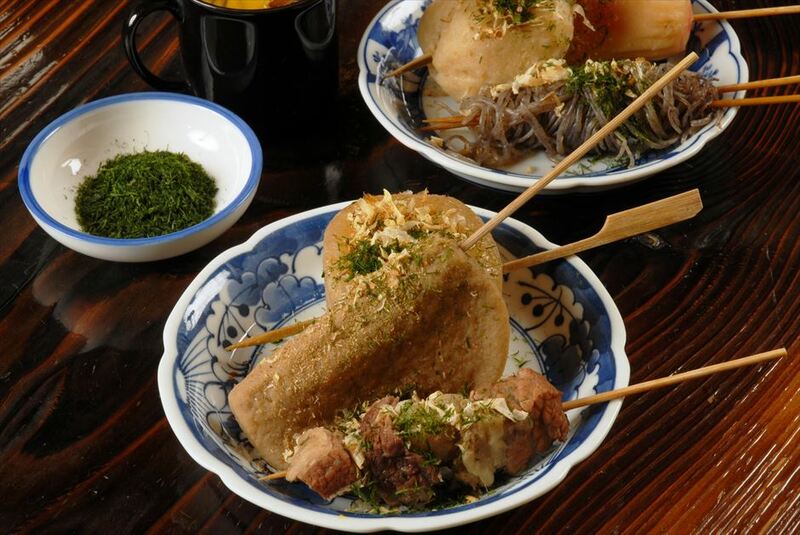 “Aoba Yokocho,” about 10 minutes away on foot from Shizuoka Station, is packed with oden restaurants. Each restaurant has a red lantern at the entrance, which creates a retro atmosphere. A highly-recommended item is kuro hampen, made with surimi (minced fish paste) of whole sardines and Japanese horse mackerels including their bones, offering a unique texture and depth of taste. 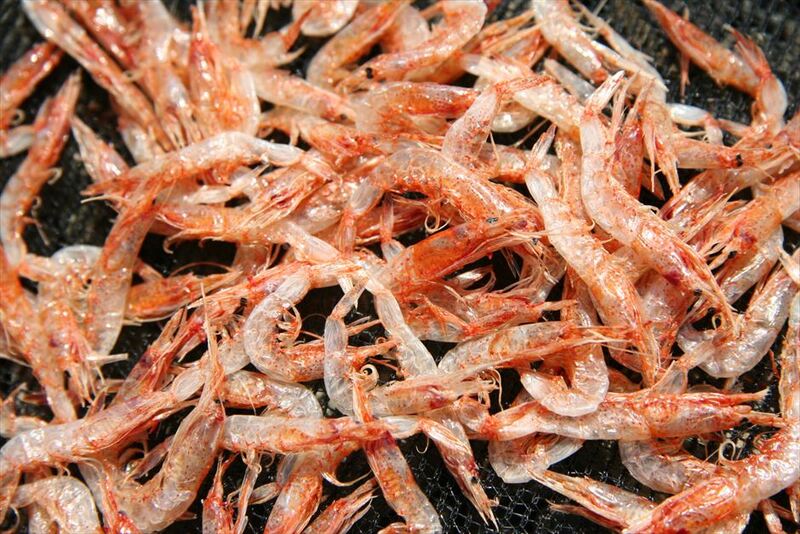 Called “jewels of Suruga Bay,” sakura shrimp is globally known as a rare organism. 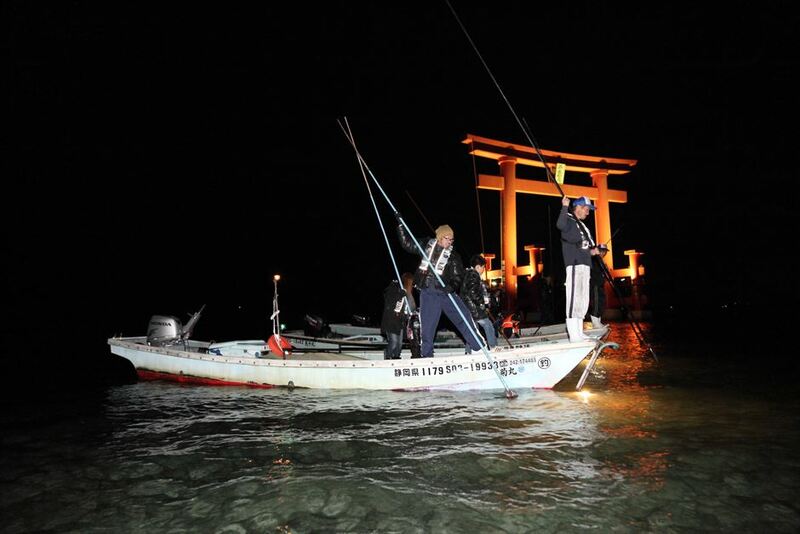 In Shizuoka, they are caught only at Suruga Bay in spring and autumn. 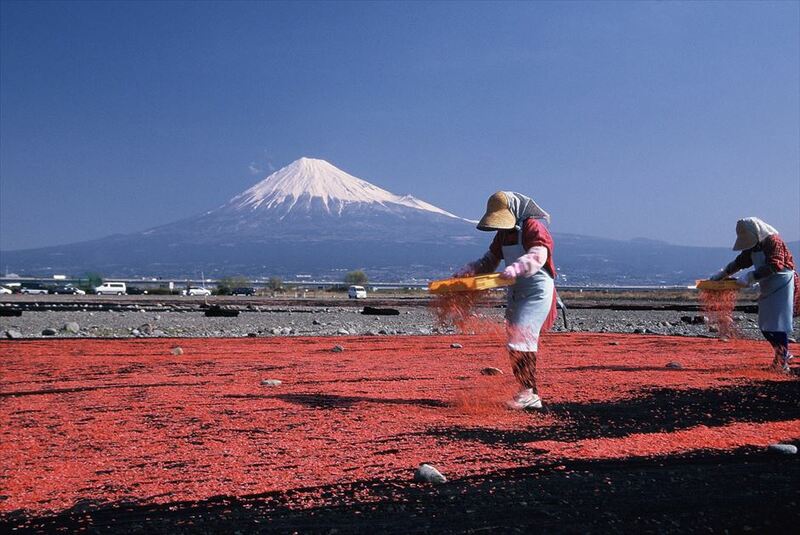 If you are lucky, you can see sakura shrimp drying in the sun along with Mt. Fuji, along the Fuji River. 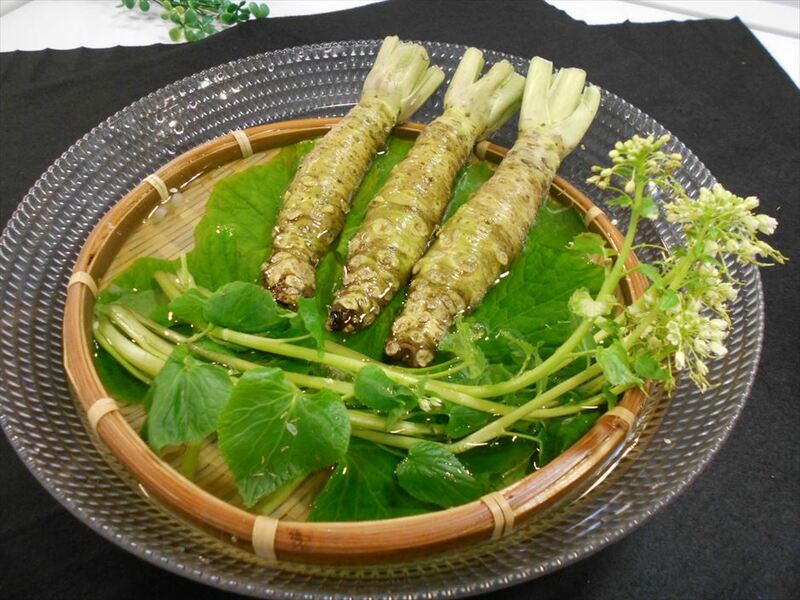 Shizuoka prefecture is also well known as the original plantation area of Japanese green horseradish (wasabi). 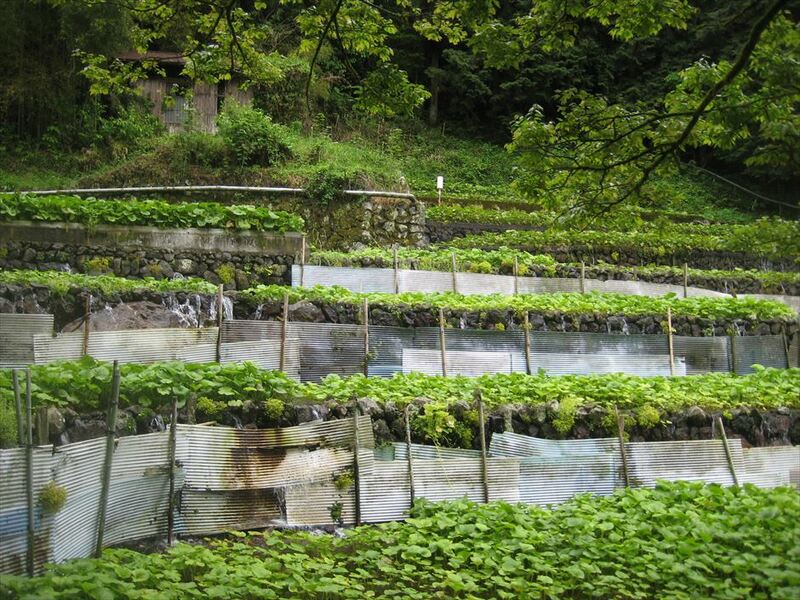 Shizuoka Prefecture is tops in Japan in the growing area, production, and output of mizu-wasabi (wasabi cultivated in water). Surrounded by the rich nature of Mt. Fuji, Mt. Amagi-san, and the Southern Alps, the area grows mizu-wasabi using abundant water. Wasabi gardens and restaurants in Shizuoka Prefecture offer various dishes with wasabi, including wasabi-zuke (chopped wasabi pickled in sakekasu lees), wasabi tofu, and wasabi ice cream. Shizuoka has many strawberry picking places. From around December to May, you can enjoy various kinds of strawberries, including “Akihime” with sophisticated sweetness and “Beni-hoppe” with rich aroma and taste. 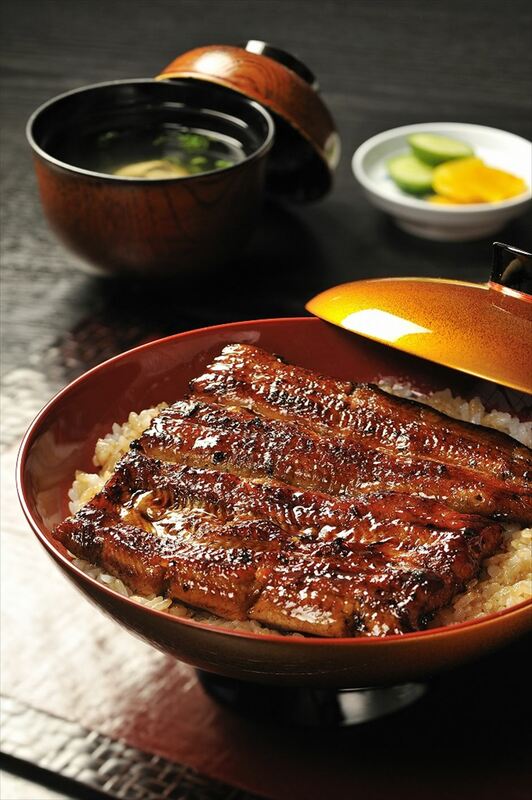 Continuously popular since its first appearance in 1961, Unagi pie now is known among almost everyone in Japan. 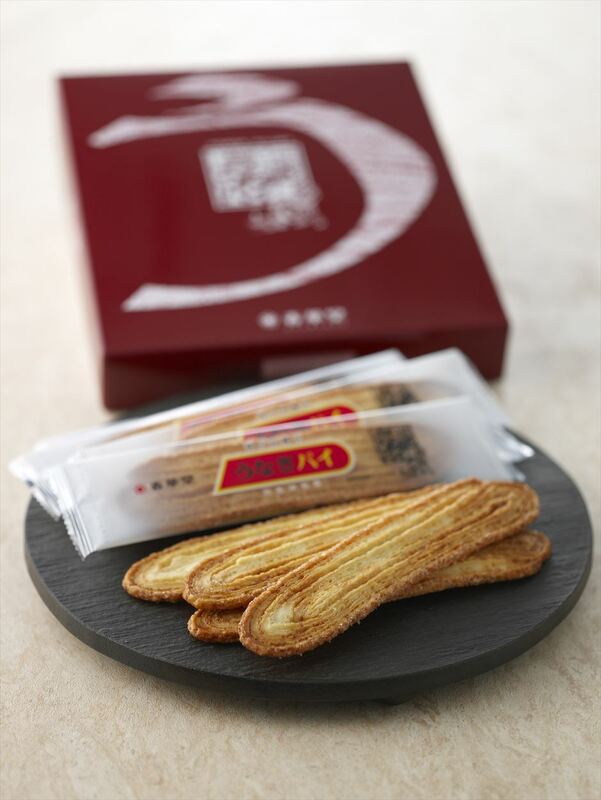 This pastry is made with dough containing special wheat flour and butter, carefully-selected ingredients, and secret eel powder and is folded into about 9,000 layers by the hands of Unagi pie cooks, offering a unique texture and addictive taste with the flavor of the secret ingredient, garlic. 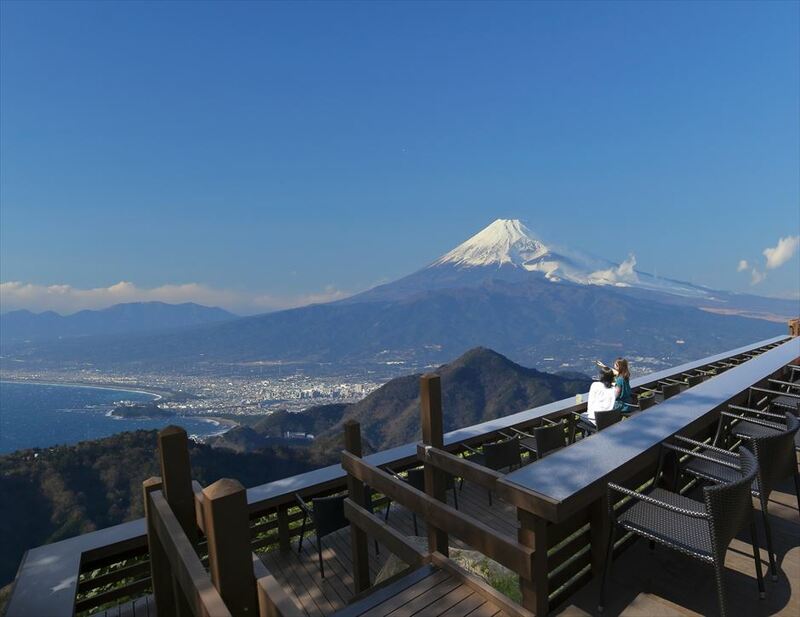 http://att-japan.net/en/archives/6175Shizuoka Prefecture–Feel the Overwhelming Presence of Mount Fuji!